The New Expansion Credit Rebate will be from March 12th to April 11th, you can get Ainma and Bound CPs as rebate when you credit CPs. Check out the details below. 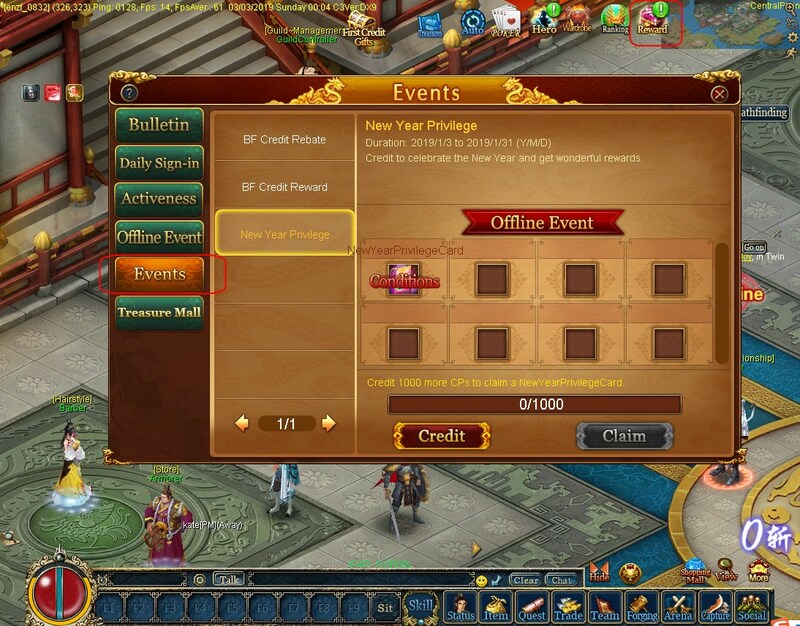 During the evnet, when your total CPs credited reaches a certain amount, you can claimcorresponding rewards in Events section, you can find it in Reward - Events.